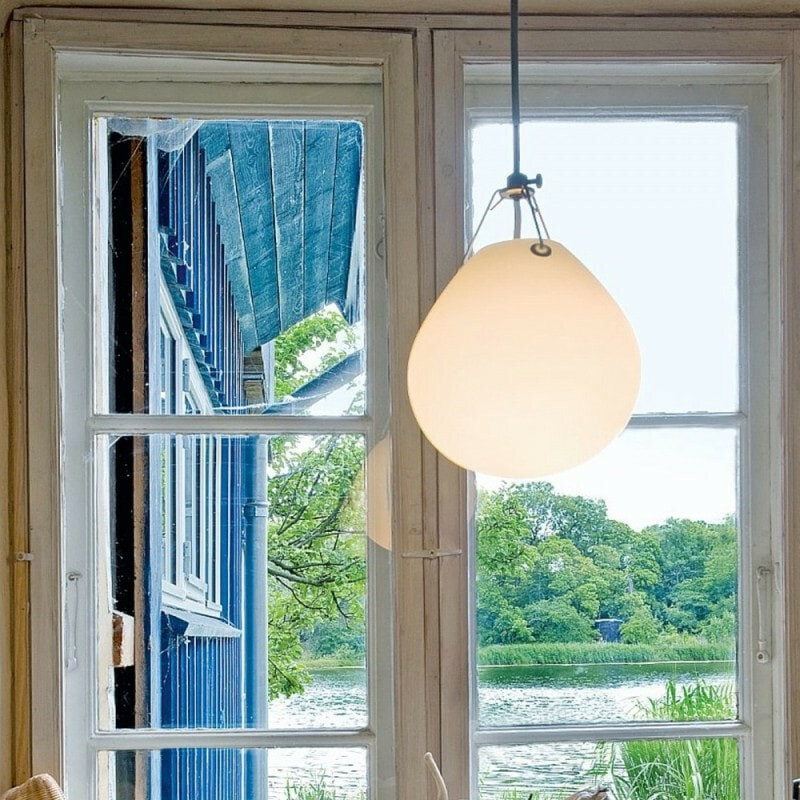 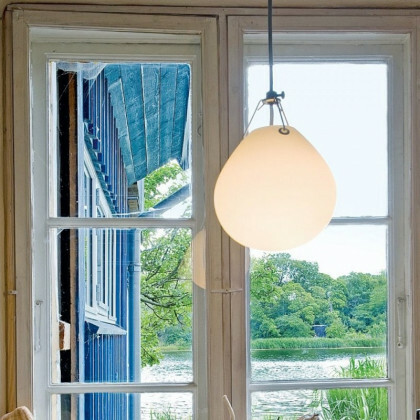 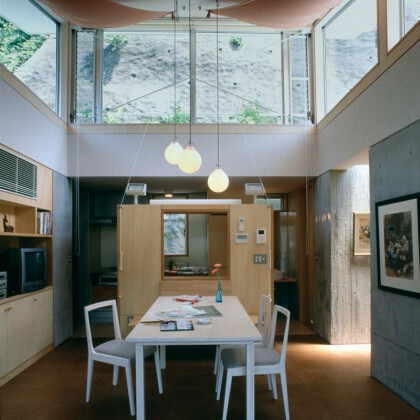 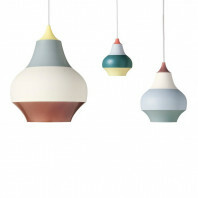 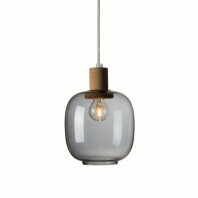 According to the design of the lamp, the thickness of the glass makes the light a comfortable warmth and color. 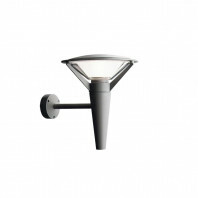 It also is beneficial because of the overall, general light distribution. 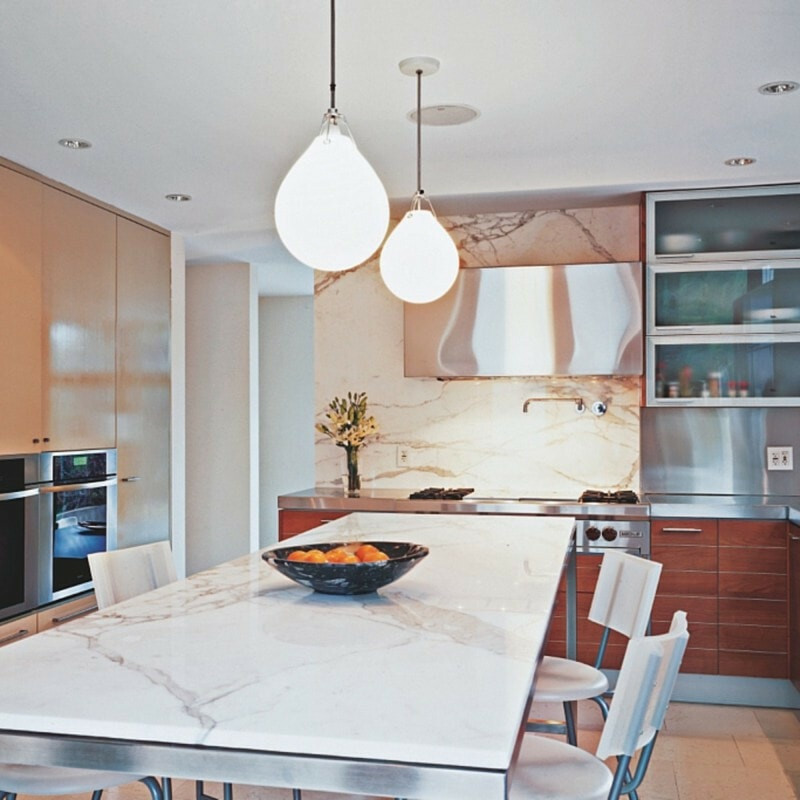 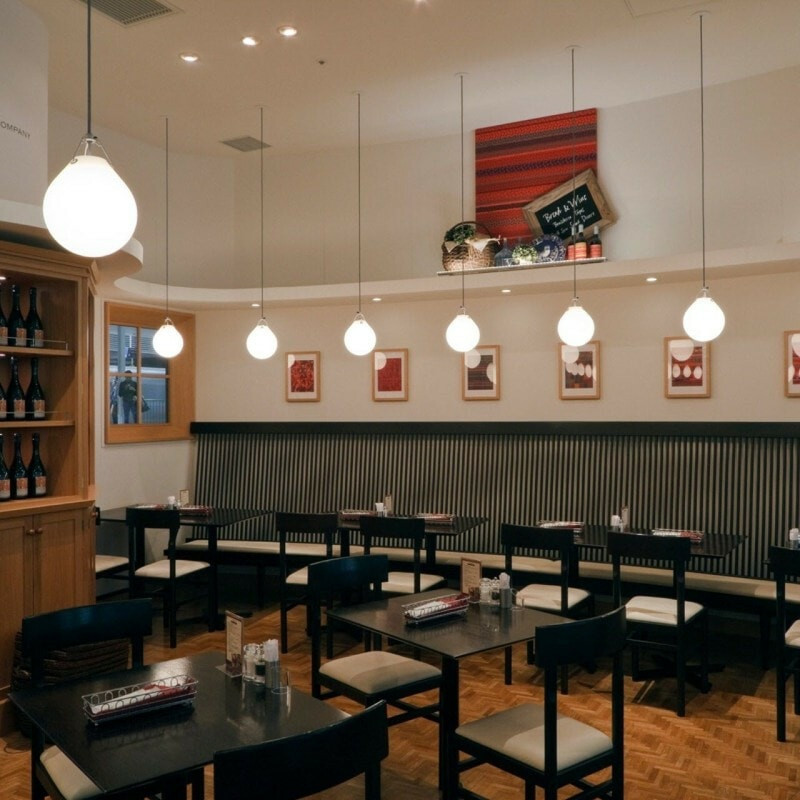 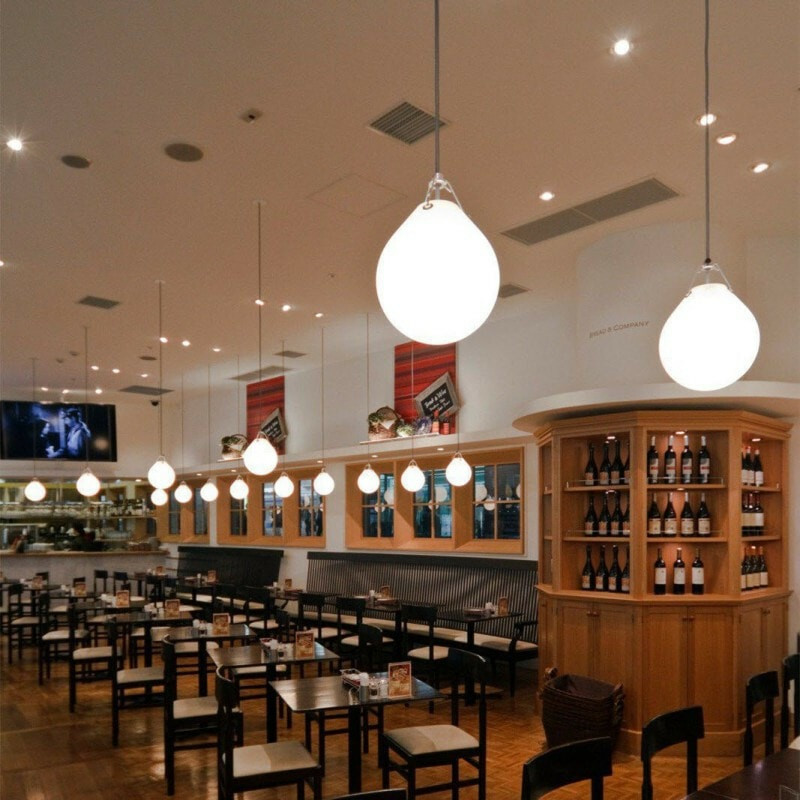 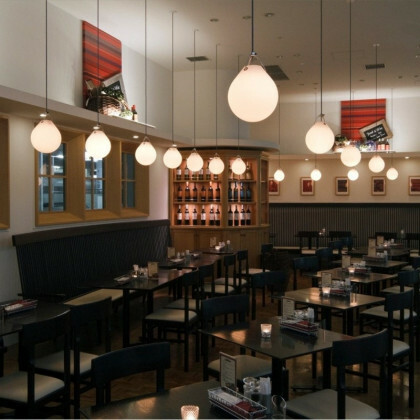 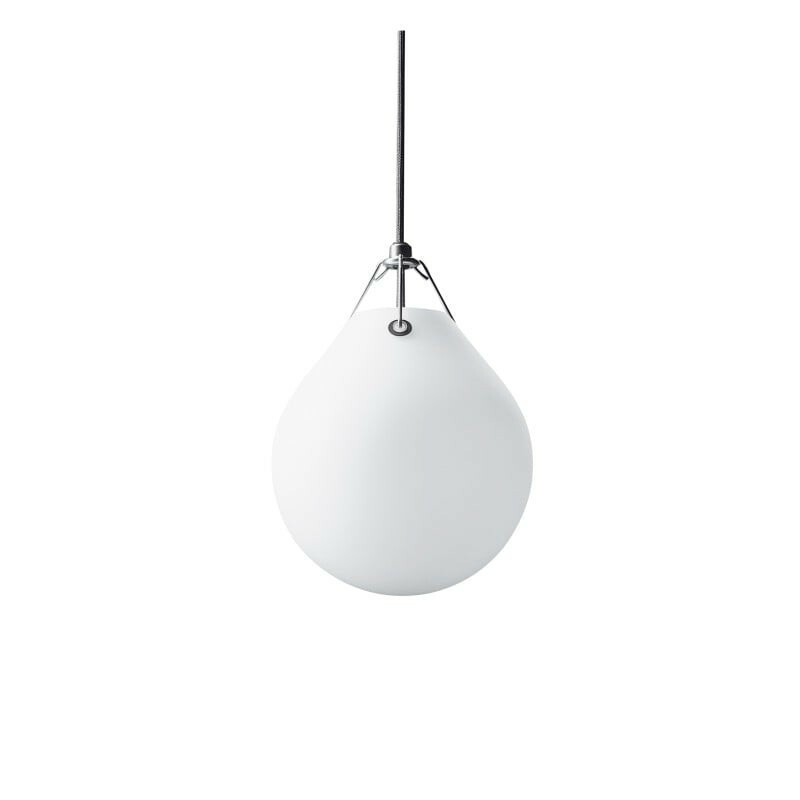 The suspension lamp has a matt white opal glass finish, which makes it easy to fit in with any style of furniture surrounding the light fixture. 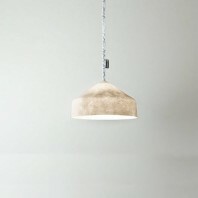 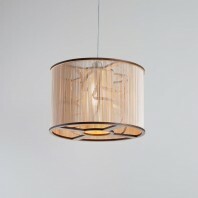 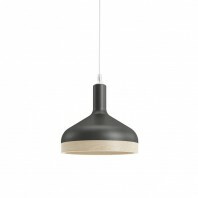 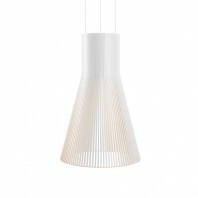 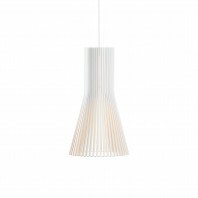 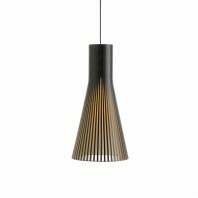 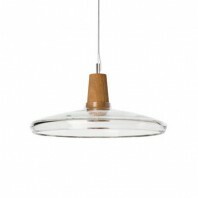 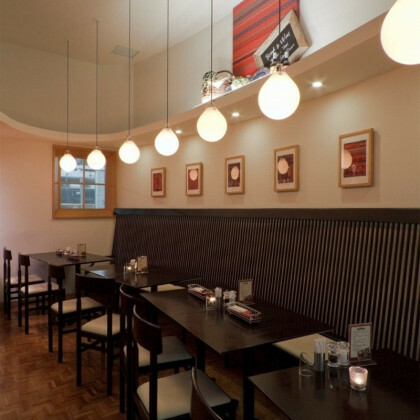 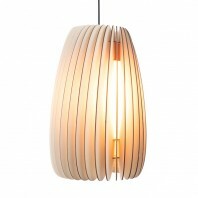 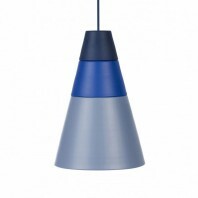 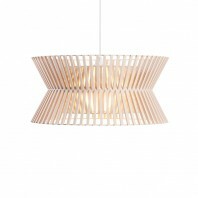 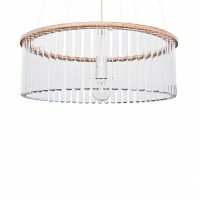 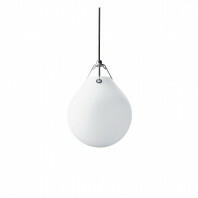 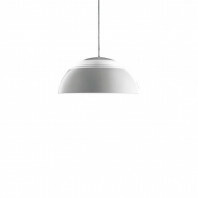 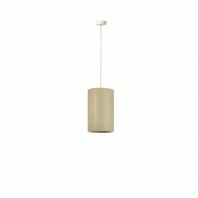 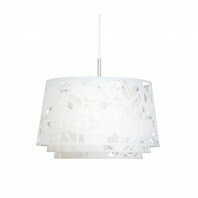 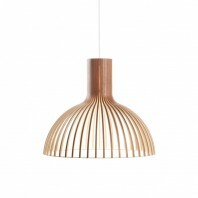 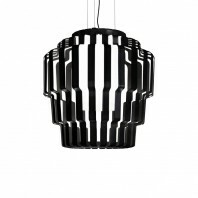 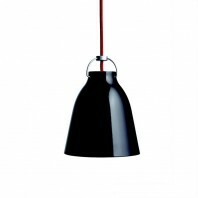 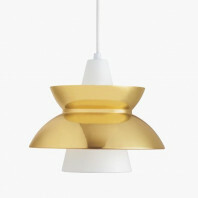 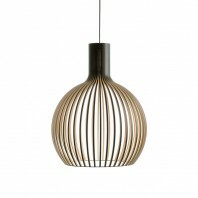 The lamp`s suspension is made from polished aluminium and the shade is formed from a mouth-blown matt white opal glass. 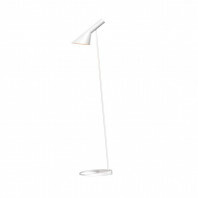 The cable runs a length of three meters, which makes the placement of the lamp in an area easier to mount because of its versatility in distance from an outlet. 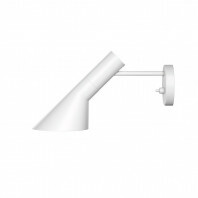 With a minimum of half a kilo of weight and a maximum of 3.2 kg, the mounting and hanging of the lamp is an easy-going process without much difficulty. 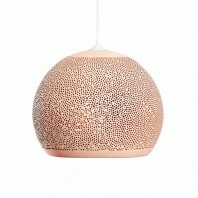 There are three different sizes of the lamps available to order, the smallest width of the lamp is 18.5 cm, 20.5 cm and 25 cm. 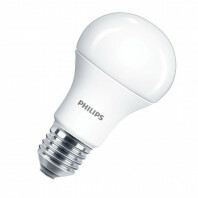 The wattage of the bulbs also differ with each size. 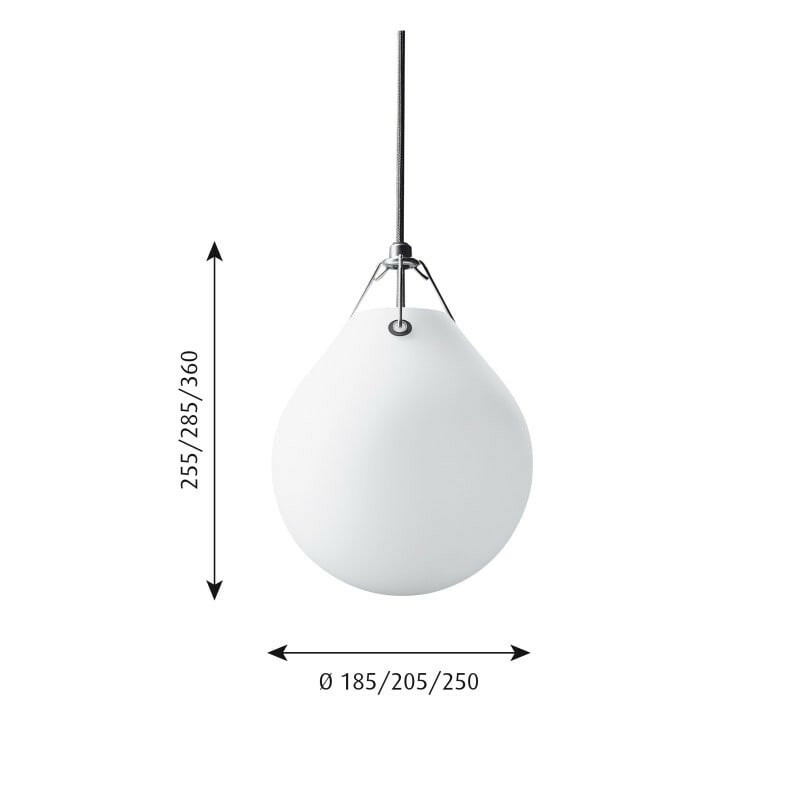 With the smallest lamp, it is required to use a 8W bulb, with the medium size, it is required to use a 20W bulb and with the largest size, it is required o use a 23W bulb. 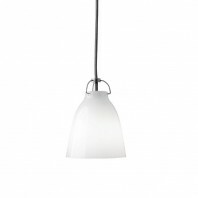 The cable for each size of lamp comes with the same color and type, as a white cable with grey stocking. 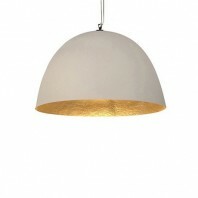 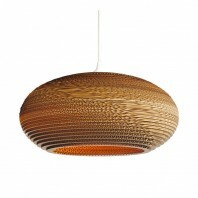 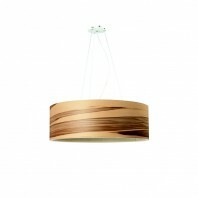 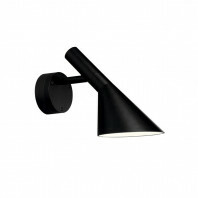 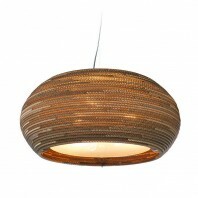 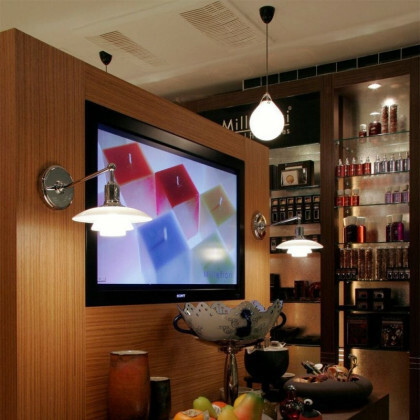 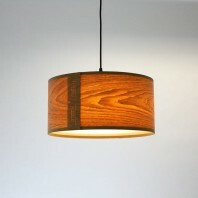 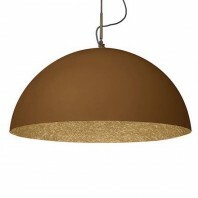 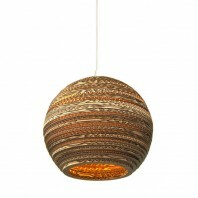 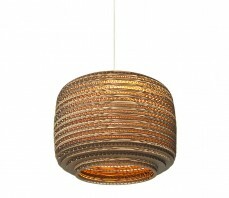 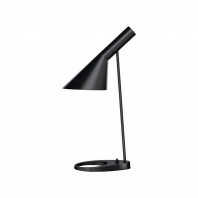 This lamp can be ordered quickly to be placed within your perfect, modern and tasteful setting. 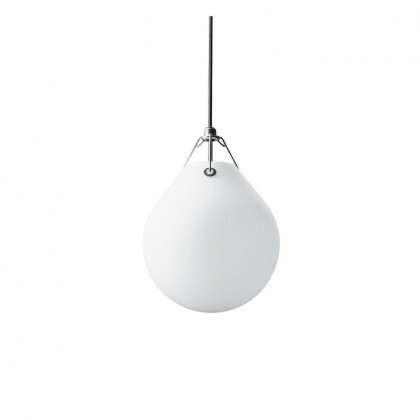 Color Matt white opal glass. 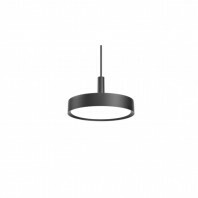 Technical information Due to the height of the glass, Ø 18.5cm is recommended with 8W TC-DSE, Ø 20.5cm is recommended with 20W TC-TSE, Ø 25cm is recommended with 23W TC-TSE. 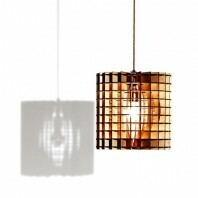 The innovation of light sources is ongoing. 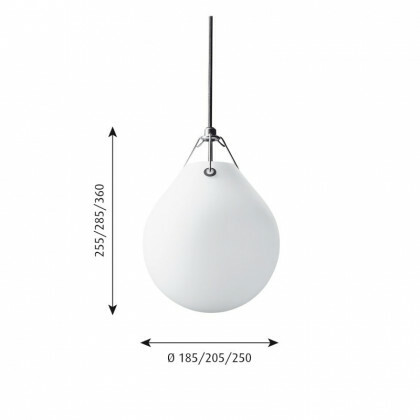 Consequently we only inform about the max. 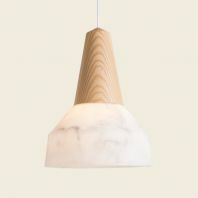 wattages.